Earlier this month, we brought you the detailed list of operational and upcoming Jawa dealerships in the Indian market. The media rides of the new Jawa and Jawa Forty-Two are scheduled on December 13 and 14, post which the motorcycles would arrive at dealerships for test rides from December 15. Dealerships would also start accepting bookings for the bikes that were launched in India last month. While online bookings had commenced right after the launch, the dealership level reservations and test rides would start from December 15. 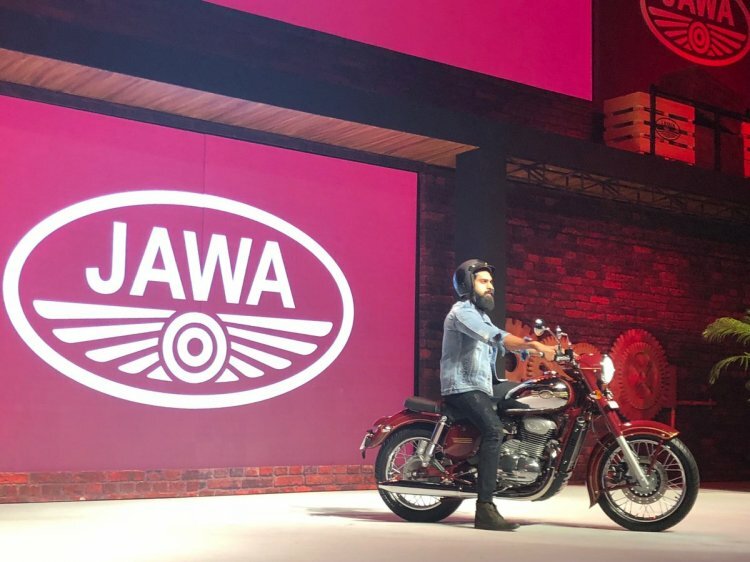 The dealerships would offer test rides of the new Jawa and Jawa Forty-Two while the Perak bobber will be available by mid-2019. Classic legends, a subsidiary of Mahindra & Mahindra, unveiled the three motorcycles for the Indian market and launched two in November 2018. The Jawa has been priced at INR 1.64 lakh* while the Jawa Forty-Two will be available for INR 1.55 lakh*. The Jawa Perak, which will arrive at the dealerships by mid-2019 will be available for INR 1.89 lakh*. Currently, potential buyers can reserve a Jawa motorcycle of their choice via the company’s website for a token amount (fully refundable on cancellation) of INR 5,000. The deliveries of the bikes would commence from January 2019. To recap, the Jawa and the Jawa Forty-Two use the same double-cradle chassis but are distinguished through styling and ergonomics. The Jawa is available in three colour options – Jawa Maroon, Jawa Grey and Jawa Black. The Jawa Forty-Two can be purchased in two metallic colours – Comet Red and Starlight Blue, and four matte paint schemes – Hally’s Teal, Galactic Green, Lumos Lime and Nebula Blue. Both motorcycles use a 293cc, single-cylinder, liquid-cooled, four-valve motor that is BS-VI compliant. The fuel-injected engine delivers 27 bhp of maximum power and 28 Nm of peak torque and comes mated to a six-speed gearbox. Classic Legends have tried to stay as true to the original design as possible. Thus, the motorcycle uses telescopic front forks and twin rear shock absorbers. A single 280 mm disc up front with floating calliper and a 153 mm rear drum brake performs anchoring tasks, while the safety net of single-channel ABS is available as standard. The twin-sided, chrome finished exhaust pipes further enhance the retro looks.